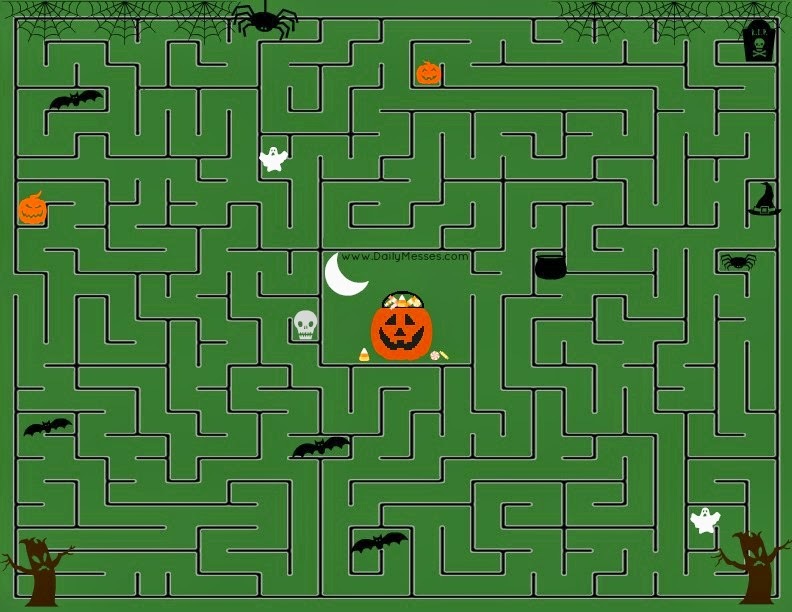 The boys have really gotten into mazes lately, so I thought I would make some Halloween themed mazes. They enjoyed them and I hope you will too. Here's the first one! Work your way through the maze to get to the pail of candy! To Print: Click on image. Right click. Choose Open In New Tab/Window. Click Print. Or, click on image, right click, choose Save Image As. Print saved image.